With Windows 10, Microsoft is doing away with the conventional product key for digital installs. You may never have to manage product keys again. A funny thing happens when you look for a product key in Windows 10 after doing the free upgrade: You won’t find them. In Windows 10, utilities like Magical Jelly Bean KeyFinder or Belarc Advisor return generic product keys instead of authentic ones. Don’t believe me? This is the key Windows 10 Pro users will see in KeyFinder or Belarc Advisor: VK7JG-NPHTM-C97JM-9MPGT-3V66T. Let’s try this PowerShell script from the Hexus forums on Windows 10 Pro. You should get this: T44CG-JDJH7-VJ2WF-DY4X9-HCFC6. That’s the generic key for build 10240. Not a real product key to be seen anywhere. The reason for this is that Windows 10 changes Microsoft’s traditional product key model, and if you ask me it’s for the better. When you use the free upgrade to Windows 10 or pay for a digital retail version, you don’t get a product key. Instead, your computer uses what Microsoft calls a digital entitlement. It looks like the product key is on its way out, at least as far as users are concerned. After installation, your version of Windows 10 should just activate in the background in a few moments or a few days at the most. You can check your activation status by going toSettings > Update & Security > Activation. Once your Windows 10 upgrade activates, you can grab a Windows 10 install image, do a clean install, skip the screen asking for product keys, and you should just re-activate again after the install is complete. I say should, because even in this brave new world without product keys I find it hard to believe there won’t be a few installation horror stories involving product activation. That said, I can vouch from personal experience that a post-upgrade clean install of Windows 10 just works. Shortly after I installed Windows 10 on my laptop, I swapped out my old spinning hard drive for an SSD. When I was done with the installation Windows activated right away. For longtime Windows users the absence of product keys in Windows 10 digital installs is a relief and at the same time a little worrying. Based on the long history of activation horror stories, some of you out there may be a little suspicious of this new process. Although the notion of never having to use a product key ever again sounds great. 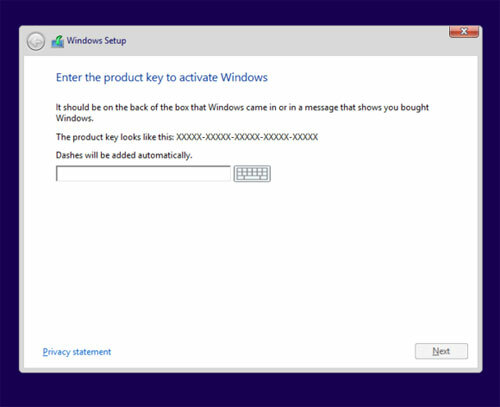 There are still situations where you’ll run into product keys with Windows 10. If you buy a physical retail edition such as on a USB stick or DVD, you’ll still get a product key. Microsoft told us that “your activation product key stays with your PC.” We’re not clear if that means product keys work as digital entitlements, or whether you’ll be managing product keys the old fashioned way—by stashing that product key somewhere safe for later use. We’re double-checking this with Microsoft and will update this article should the company respond. One sticking point with digital entitlements is that because it’s dependent on your hardware configuration, making a significant change can wipe out the entitlement. If you swap out your motherboard, for example, your digital entitlement will likely disappear and Windows 10 won’t activate. If that happens, you’ll have to make a call to Microsoft’s customer support line to re-activate your copy of Windows. 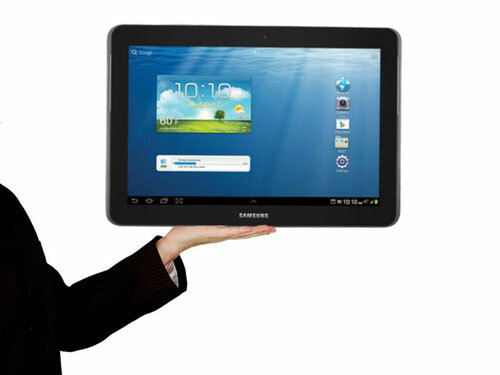 Keep in mind we’re talking significant hardware changes here. If you swap out your hard drive for an SSD or add more RAM, you shouldn’t see any problems. I don’t know about you, but if I ever have to look at a product key again it’ll be too soon. It’s been seven months and counting since Apple’s iOS-inspired OS X 10.10 Yosemite leapt onto the Mac. Attention has now turned to the next major release of OS X, which is expected to be named – you guessed it – OS X 10.11 El Capitan.Like iOS 7, Yosemite’s bold colours and flattened icons divided opinion, but the stats paint a positive picture: more than half (58%) of Mac owners were running the latest version of OS X in April, according to data by NetApplications.It’s hard to deny that Yosemite looks fantastic on Apple’s newer computers with Retina displays – such as the iMac with Retina 5K and the new MacBook – but users on older hardware have reported sluggish performance since upgrading.As such, OS X 10.11 will focus on “under-the-hood” performance improvements, rather than new features, as OS X 10.6 Snow Leopard did back in 2009. Snow Leopard famously launched with “0 new features”, instead focusing on improving performance and service support.This includes 1.4 times faster app launching than its predecessor, two times faster app switching and email opening, as well as four times faster PDF previews. While Apple hasn’t quite gone with the stringent strategy of no new features, it has aimed to please developers with a better optimized OS complete with Metal pulled from iOS 8. OS X 10.11 as expected was shown off for the first time at WWDC 2015, which took place on June 8. 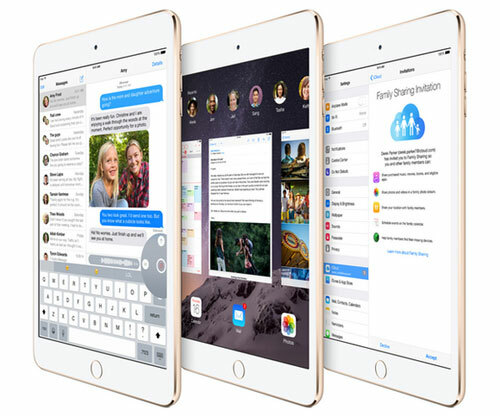 At the event Apple gave developers the chance to “learn about the future of iOS and OS X”, bringing forth both OS X El Capitan and the next version of iOS, iOS 9. Certain Yosemite features such as Continuity saw tighter integration between OS X and iOS, a path Apple is continuing with OS X 10.11.Apple’s WWDC logos through the ages: what did they tell us?With Apple promising to release OS X 10.11 this fall it wouldn’t be surprising to see El Capitan arriving in October, the month that both OS X 10.09 Mavericksand OS X 10.10 Yosemite were let loose into the wild in 2013 and 2014 respectively.While Apple has yet to announce an official release date as of yet, the Cupertino company released a public beta of its next Mac OS on July 9. 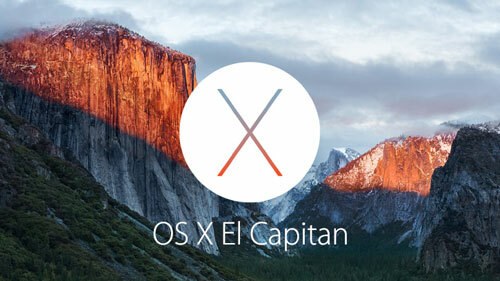 The free preview version of El Capitan is available here. The last two versions of OS X, Yosemite and OS X 10.9 Mavericks, were both free and this is a trend El Capitan will follow too. It would have been especially hard to see Apple going back to paid annual updates in light of Microsoft’s decision to offer Windows 10 as a free update to Windows 7 and Windows 8.1 users for one year. Releases of OS X were named after big cats prior to OS X 10.9 Mavericks, with the last being OS X 10.8 Mountain Lion. Apple indicated that future versions would be named after California locations from that point onwards, starting with OS X 10.09 Mavericks.So what’s next? Apple has trademarked a number of names that could be used for OS X 10.11, including: Redwood, Mammoth, California, Big Sur, Pacific, Diablo, Miramar, Rincon, El Cap, Redtail, Condor, Grizzly, Farallon, Tiburon, Monterey, Skyline, Shasta, Sierra, Mojave, Sequola, Ventura and Sonoma. Of course, there can only be one and the Cupertino company decided to go with El Capitan. Windows 7 introduced the ability to “snap” windows to the sides of the desktop to easily position apps and other content on the display, something that has been missing from OS X for almost six years. Now El Capitan will finally introduced something Apple is calling Split View, which as the name suggests allows users to easily orient two windows side by side.Sure, there are third-party apps that can do it, but they’re not free or run as smoothly as the native behaviour on Microsoft’s snap-happy OS. Windows 10 has introduced a way to snap four Windows of equal size to each corner of the screen, which would be a boon for anyone using Apple’s larger iMacs or a large monitor. OS X El Capitan also brings a slightly revamped multi-desktop management system called Spaces Bar. Users can launch the new expansive view of their desktops by dragging a window to the top of the screen. For a split-screen view, simply drag one window on top of the other.In a few other tweaks, Mission Control said to be smoother, simpler, faster. Meanwhile, full screen apps including Mail are smarter with multitasking features similar to iOS 8’s enhancements. One of the biggest improvements El Capitan will bring with it is Metal, a low-level, low-overhead hardware-accelerated graphics API. Apple promises this iOS 8 feature coming to its desktop OS will introduce a 50% improvement in performance with up to 40% greater rendering efficiency.The melding of Metal with El Capitan should make Macs a much more capable platform for gaming. Thus far, Epic games has demoed a build of Fortnight built on Metal.Aside from gaming, Adobe also presented Metal has enabled After Effects to render effects with eight times the efficiency. The software maker also announced it is adopting Metal in its OS X apps, which has resulted in a 10x improvement in draw call performance. Another useful feature from Windows 8.1 is the ability to have Windows automatically download and lay out apps, desktop wallpaper and settings associated with a Microsoft account. This means that you can log into another Windows 8.1 machine and have all of your favourite apps downloaded and laid out as if you’ve sat down at your own computer.OS X forces you to manually download your previously purchased apps from the Mac App store, before inserting them into the correct order the on the dock (if you harbour OCD tendencies). It’s not a problem if you stick to one machine, but slightly cumbersome if you tend to chop and change. Baking such functionality into OS X 10.11 shouldn’t be too difficult thanks to iCloud support. The most notable absence from Yosemite was Apple’s voice-activated personal assistant, Siri. With Microsoft introducing Cortana into Windows 10, now would be a good time for the personal assistant to come to Apple’s desktop OS. When you can download and install Windows 10 Technical Preview onto a Mac to get Cortana, but you can’t get Siri on the native OS, that’s a sure sign that Apple needs to play catch up.